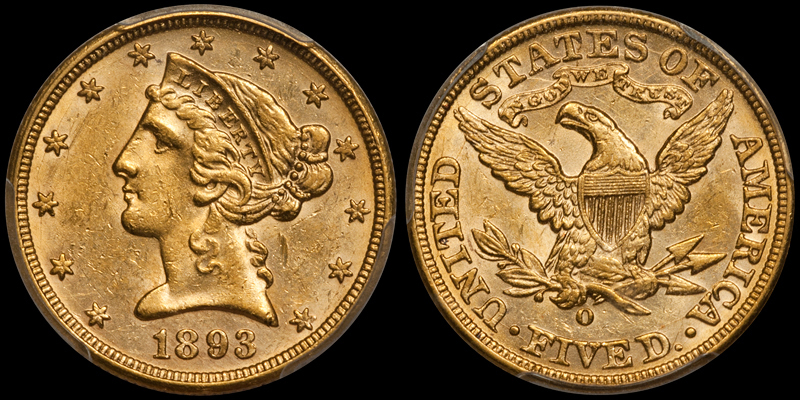 The New Orleans Mint produced Liberty Head half eagles from 1840 through 1857, and again from 1892 through 1894. 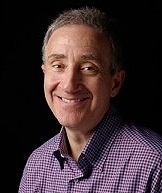 There were a total of 16 different issues constituting three distinct types. This is a popular set with collectors. 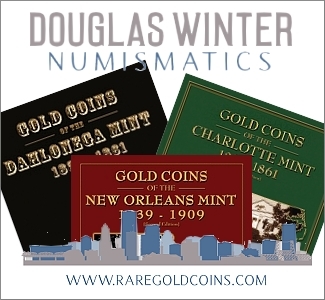 There are fewer coins than there are from the other two Southern branch mints (Charlotte and Dahlonega), and there are no dramatic rarities. It is reasonably easy to complete a date set but the degree of difficulty increases dramatically as the average grade is raised. To my way of thinking there are three levels of assembling a set of Liberty Head half eagles. The first level revolves around coins in what I would term “collector grades” – which in this case will mostly be in the VF/EF range for the first two types (see above), and AU for the third type. The second level revolves around coins in what I would term “above average” grades, which in this case will mostly be in the AU range for the first two types and MS61-62 for the third type. 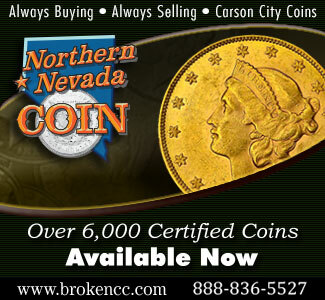 The third and final level revolves around coins that qualify as Condition Census or even Finest Known for both types. The grade range for these coins will be MS60 to MS64. Let’s take a look at all three of these sets, giving specific examples where appropriate and tips for collectors. As I mentioned above, there are a total of 16 different dates for this set. This includes two varieties of 1843-O (Small Letters and Large Letters). In collector grades, there are no really rare issues but there are six different dates that I would regard as scarce to very scarce: 1842-O, 1843-O Small Letters, 1847-O, 1855-O, 1856-O, and 1857-O. 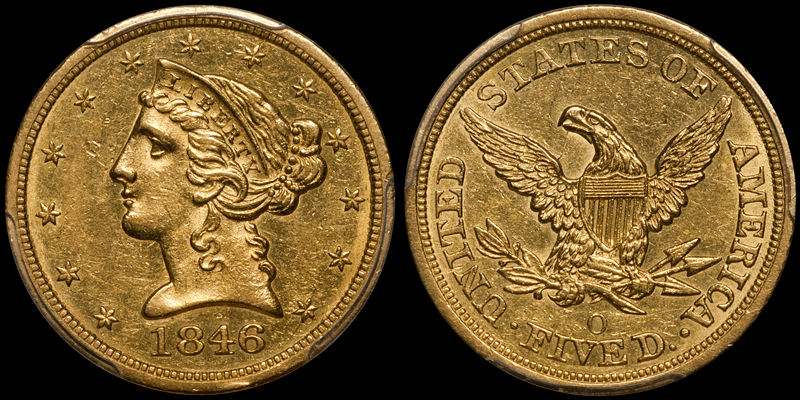 The two key issues are the 1842-O and the 1847-O. For both there are likely no more than 80 known in total and many of the survivors show very poor eye appeal. However, these dates are seen from time to time in nice VF or EF grades. I would suggest budgeting $3,000-5,000 for the 1842-O, and $5,000-7,000 for the 1847-O. The other four scarce issues should be available in the EF range, although not often with choice surfaces and natural color. I would budget $3,000-5,000 for each. This leaves 10 other issues, which range from common (1844-O, 1893-O, and 1894-O) to fairly scarce. 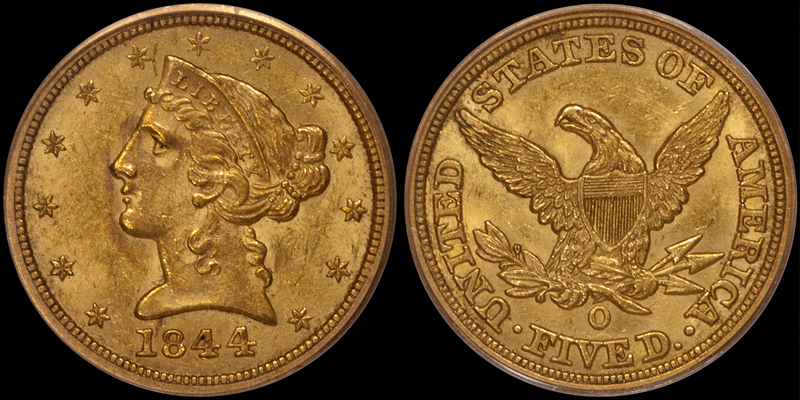 It is not a stretch to target the majority of these dates in the EF45 to AU55 range, and the lower Uncirculated range (MS60 to MS61) for the 1844-O, 1893-O, and 1894-O. 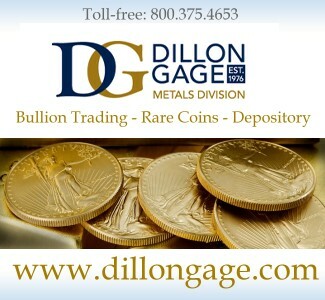 Keeping within this grade range, it is possible to acquire these issues for $2,000-4,000+ per coin. 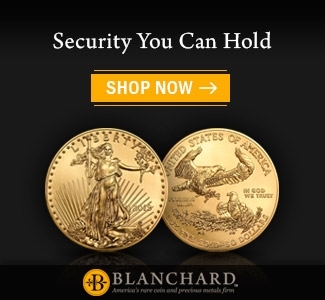 Is it possible to assemble this set with the grade parameters above with all the coins approved by CAC? 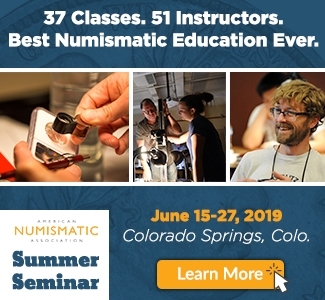 The answer is yes, but I would caution the ultra-finicky collector that some of the dates in the price/grade ranges mentioned above have very limited CAC populations. 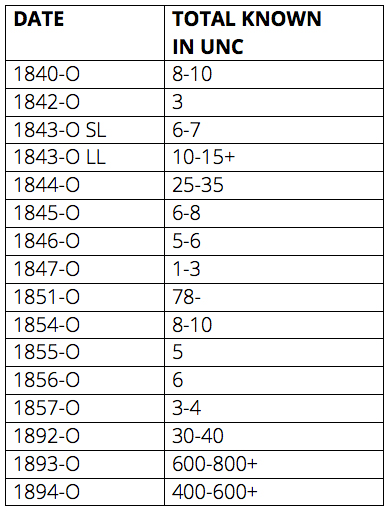 Many dates show fewer than 10 CAC-approved pieces in collector grades and two (1856-O and 1857-O) will prove really hard given their current population figures (five in all grades for the 1856-O and nine in all grades for the 1857-O with just three below AU). The total cost of this set will be in the $55,000-65,000+. 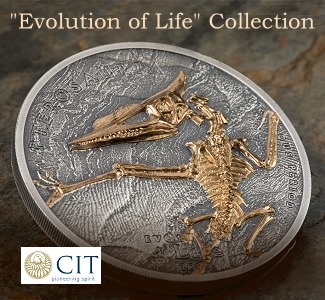 Even with readily available funds, such a set would take at least three to five years of intense searching, especially if a collector maintains strict quality standards. 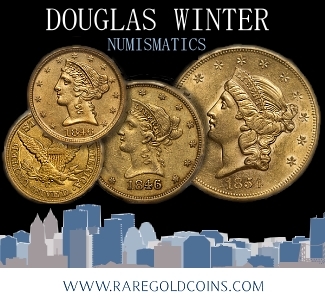 This set will consist mostly of AU coins with potentially a few pieces in EF (most likely the 1842-O and the 1847-O), and a few in the lower Uncirculated grades. Where possible, the target grades should be AU53 to AU55 for the scarce and semi-scarce issues, and AU58 to MS62 for the common issues. 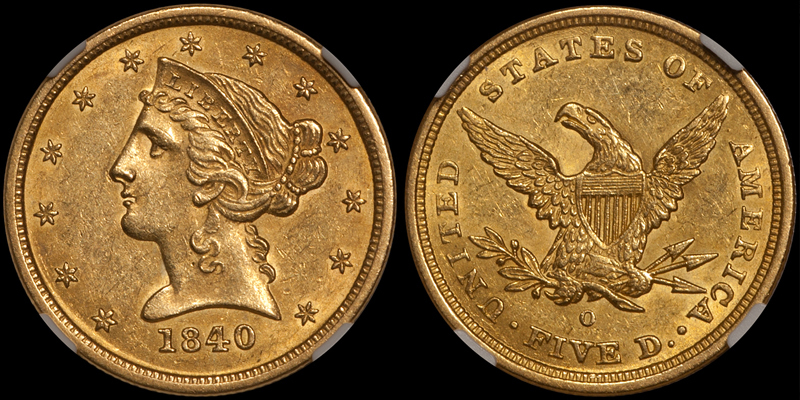 There may be a few instances where a really nice PCGS/CAC EF45 or AU50 coin makes more sense from an aesthetic perspective than a so-so AU53. It’s up to the collector to make these decisions, but I would suggest trying to buy the “right” coin the first time and to not waste money on small upgrades. 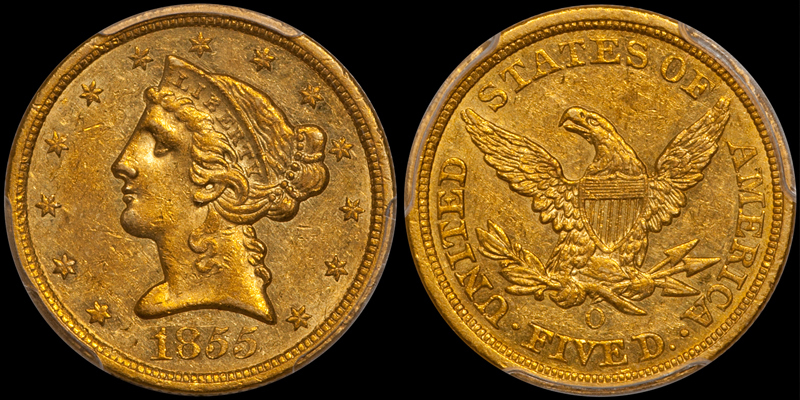 With very few exceptions, No Motto half eagles from New Orleans are very hard to locate in pretty, properly graded AU55 to AU58. 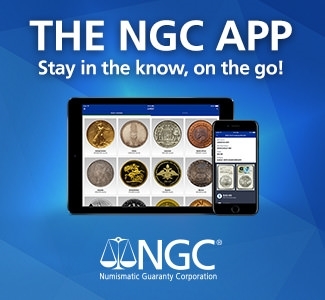 As an example, dates like the 1840-O, 1845-O, and 1846-O have reasonably large populations in this range but 80-90% of the coins in these holders are low end, with decidedly abraded surfaces and poor eye appeal. 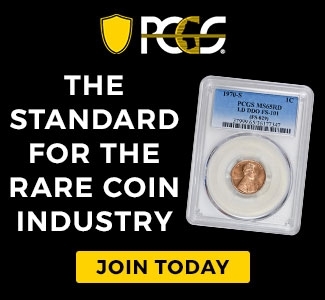 I would suggest that if you see a coin like an 1846-O in nice PCGS AU55, you make a quick decision to pursue it as it might take another two to four years to find another one. For budgeting purposes, I would suggest putting aside at least $10,000 for the 1842-O and the 1847-O, and $5,000-7,500 for the 1855-O through 1857-O and the 1892-O. 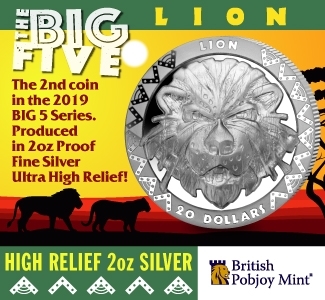 The other coins will cost in the $2,500-5,000 range, although a few might cost just a bit more than the high end of this range. In all, I’d suggest budgeting $100,000-125,000 for a nice AU-UNC set. Can this set be made fancier by targeting all CAC-approved pieces? 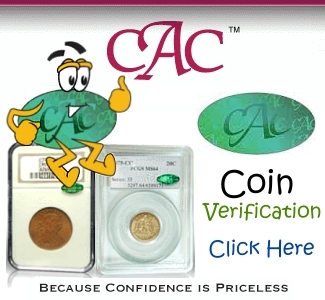 I’m inclined to say that an all-CAC set would be too difficult, and that a more realistic target would be to have at least 75% of the coins with CAC approval. 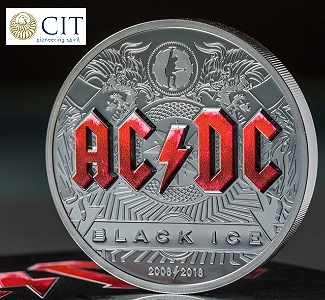 As for the coins that aren’t stickered, focus on buying the best available quality from the standpoint of originality and overall quality. To the best of my knowledge, the only complete set of Liberty Head New Orleans half eagles that has ever been assembled is the New England Collection; a complete set of New Orleans gold which is without question the finest ever. 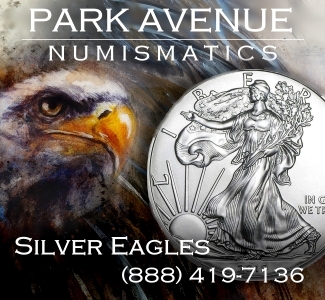 Let’s take a look at each date and see an estimate of the number known in Uncirculated. Two dates in this list are going to give an ambitious collector a lot of problems: the 1842-O and the 1847-O. 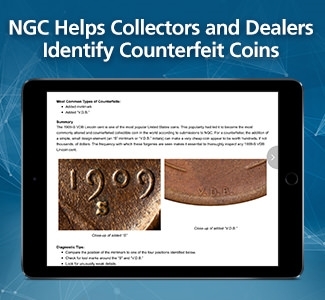 All of the Uncirculated examples of both these dates are placed in the New England Collection and they are not likely to become available at any time in the near future. The 1855-O through 1857-O trio will also prove difficult, although these do come up for sale (at an average pace of around once per every three or so years) in the lower Uncirculated grades. 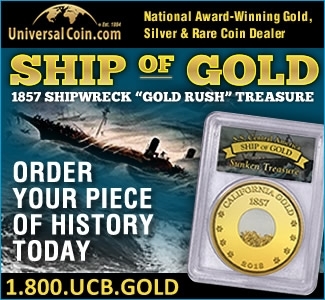 Two other really tough dates in Uncirculated are the 1843-O Small Letters and the 1846-O. I have only sold a small number of these over the past decade. For the No Motto dates, the only issue which is seen in Uncirculated with any degree of regularity is the 1844-O. This date is mostly found in MS60 to MS62, is rare in properly graded MS63, and is extremely rare in grades higher than that. Before I wind-up this section, I’d like to briefly mention the 1840-O. This date is much under-appreciated despite its status as the first half eagle from New Orleans. 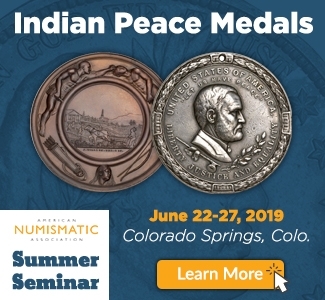 There are a few very nice Uncirculated pieces known but these haven’t been seen in many years. 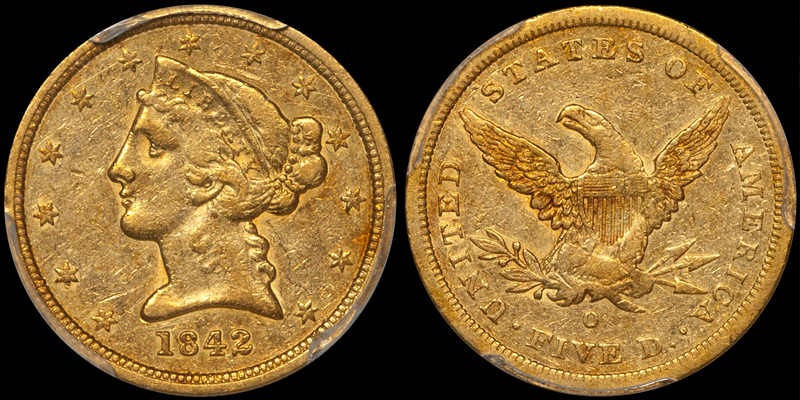 My goal here isn’t to scare off potential collectors of Finest Known and Condition Census Liberty Head half eagles from New Orleans. There is always a chance that great coins will come out of the woodwork (I handled some monster high-grade pieces in 2018 that were previously unknown to collectors), and with enough money and patience a great set can be built. I’d suggest budgeting at least $350,000 to $450,000+ to assemble a world-class high-grade set of New Orleans Liberty Head half eagles. 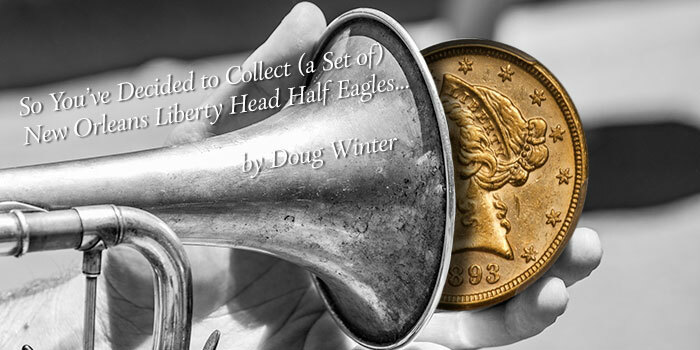 Yes, this is a lot of money, but the price levels of really great half eagles from this mint certainly pale in comparison to those for Liberty Head eagles or double eagles from New Orleans. 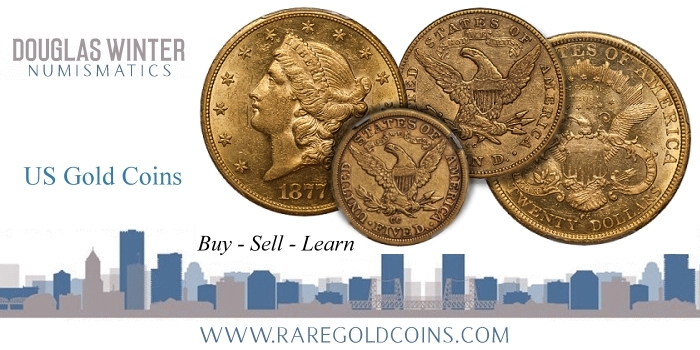 I would strongly suggest you read the new third edition of my book on New Orleans gold coins, Gold Coins of the New Orleans Mint: 1839-1909, if you wish to become a collector of half eagles from this mint. Click here for ordering information. 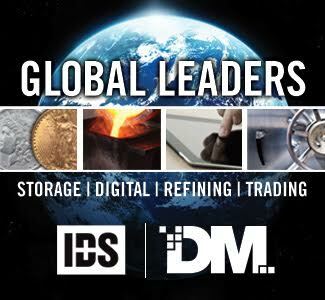 If you have any questions or comments about this article, please feel free to contact me via email at dwn@ont.com or by phone at (214) 675-9897.